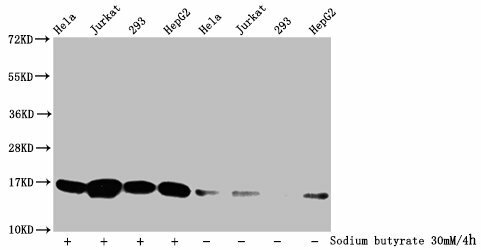 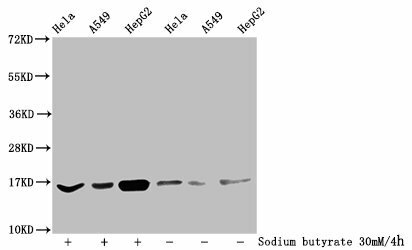 Western blot analysis of extracts from HT29 cells untreated(lane 1) or treated with UV(lane 2) using Myc(Phospho-Thr358) Antibody. 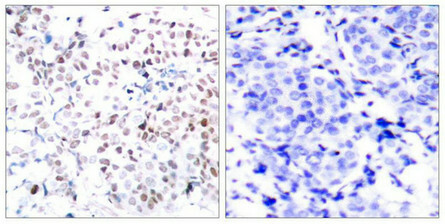 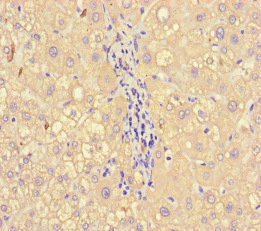 Immunohistochemical analysis of paraffin-embedded human breast carcinoma tissue using Myc(Phospho-Thr358) Antibody(left) or the same antibody preincubated with blocking peptide(right). 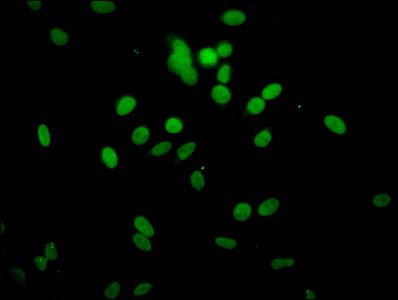 Immunofluorescence staining of methanol-fixed Hela cells using Myc(Phospho-Thr358) Antibody. 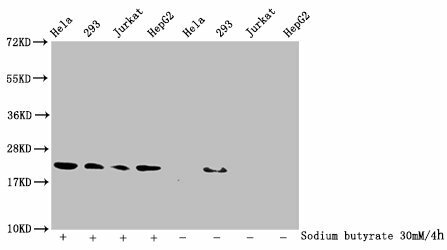 Immunogen Peptide sequence around phosphorylation site of threonine 358 (R-R-T(p)-H-N) derived from Human Myc. 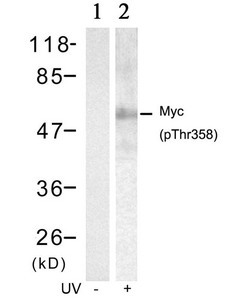 Specificity The antibody detects endogenous level of Myc only when phosphorylated at threonine 358. 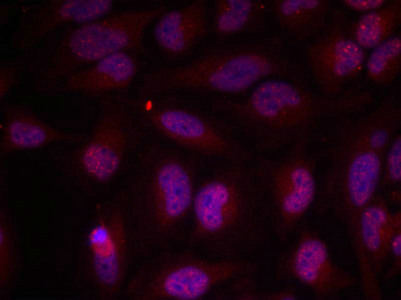 Relevance Participates in the regulation of gene transcription. 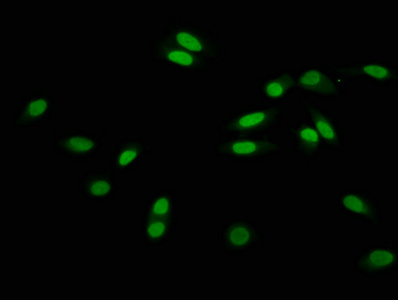 Binds DNA in a non-specific manner, yet also specifically recognizes the core sequence 5'-CAC[GA]TG-3'. 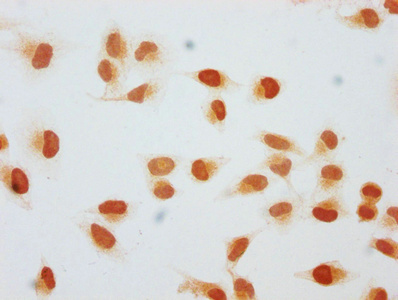 Seems to activate the transcription of growth-related genes.